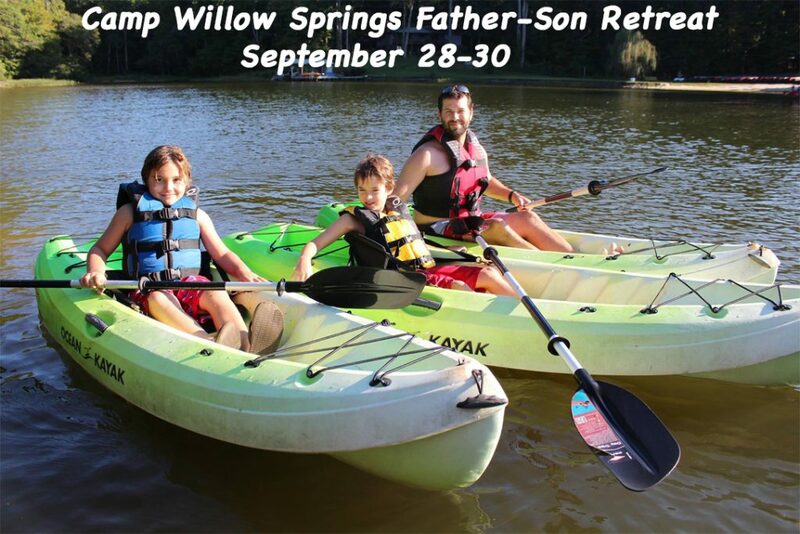 Registration is now open for the 4th Annual Camp Willow Springs Father/Son Retreat on September 28-30, 2018! This retreat is for dads and sons in grades 1-6. The cost of the retreat is $215 for father and one son. Each additional son is $105. The weekend includes times of family worship, delicious meals, the Father/Son Olympics, and fun recreation including the red shark, jumping pillow, octoball, swimming pool, archery, canoeing, and much more! Please contact our office at 252.586.0728 or info@campwillowsprings.org for more information.